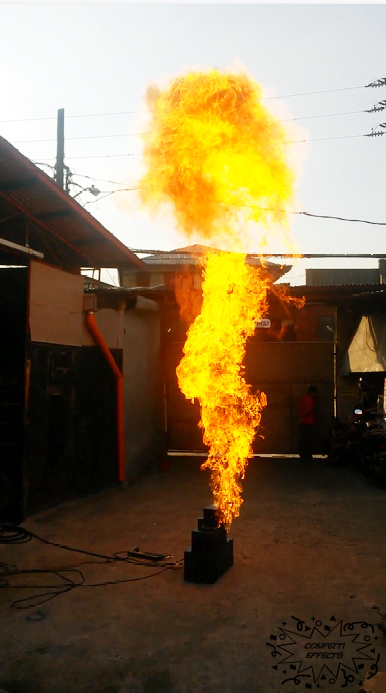 Power Flames can make a propane fire ball up to 8 m high. Inside the system a gas tank is installed and propane gas from an external gas cylinder is used to charge the Power Flame unit. It takes about 10 to 20 seconds for charging. The Power Flames uses a spark to ignite the pilot flame. This pilot flame must be monitored by the rod flame sensor before big flames can be made. 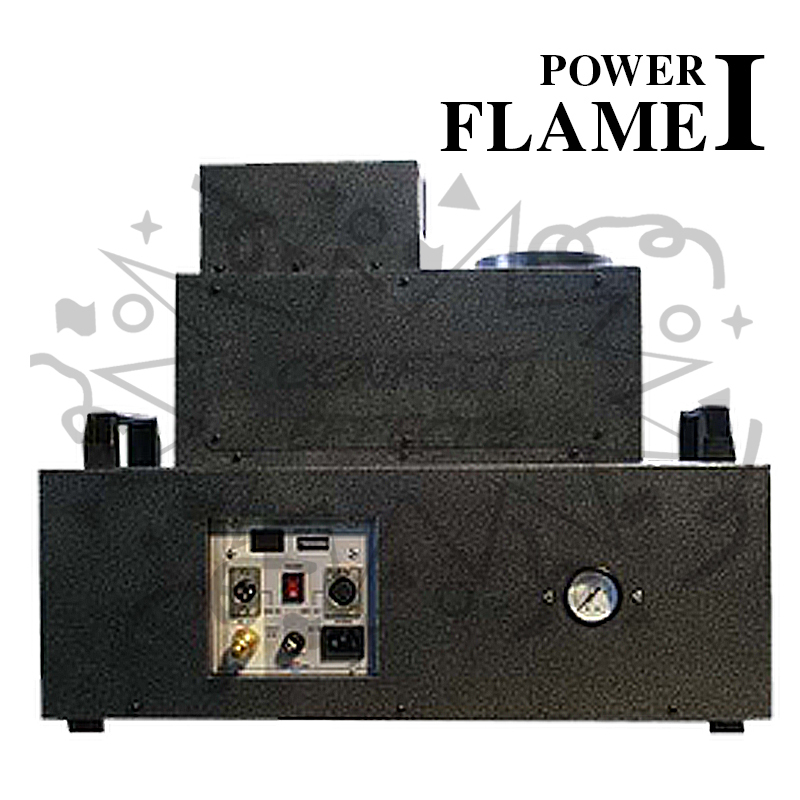 The system is controlled by standard DMX controller.